Inspired by a precious vintage brooch, this screams 'family heirloom'… just keep the price tag quiet! Its fabulous aqua crystals are breathtaking. 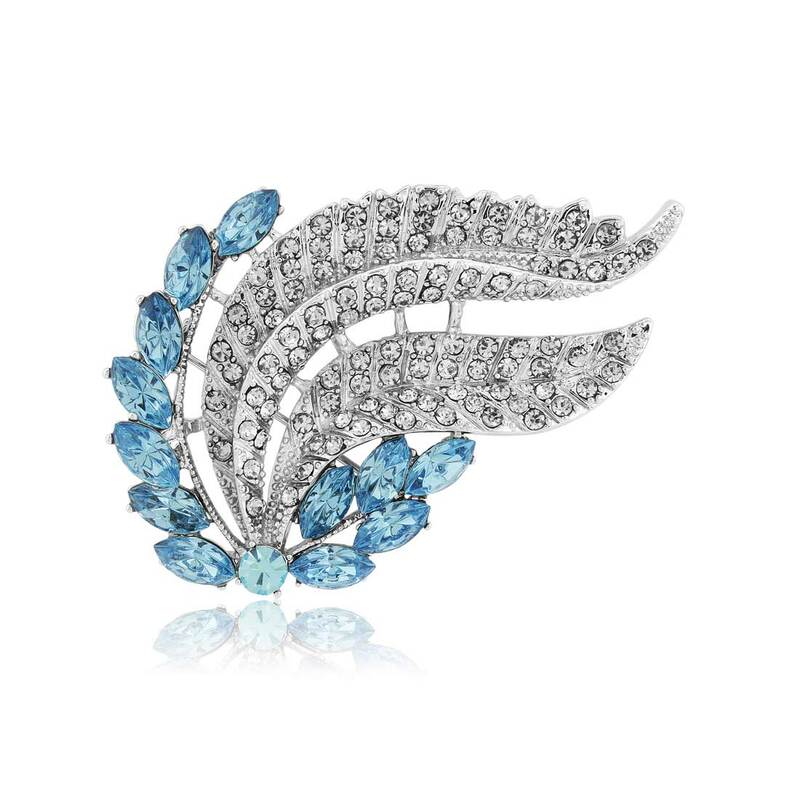 Inspired by a vintage black diamond and aquamarine pin from the late 1930s, our Timeless Heirloom Brooch is simply exquisite. Featuring two sweeping leaves encrusted with smoky grey Austrian crystals, the most beautiful contrast of colour is created by mesmerising marquise aqua crystals. Perfect if you adore vintage gems with striking hues, this piece looks sensational pinned high on the shoulder of a fabulous evening gown or adorning a wedding dress as an antique style 'something blue'. For less formal occasions, wear on the lapel of a chic blazer or fasten to a classic cape to add a stylish splash of colour. If you know someone who collects brooches, Timeless Heirloom would make the most amazing gift and would surely take pride of place in their jewellery box. With an underside hoop, it can also be worn on a ribbon or chain as a pendant.